I-Rovers Sports Bar have a Fabulous selection of Food available until 2am! 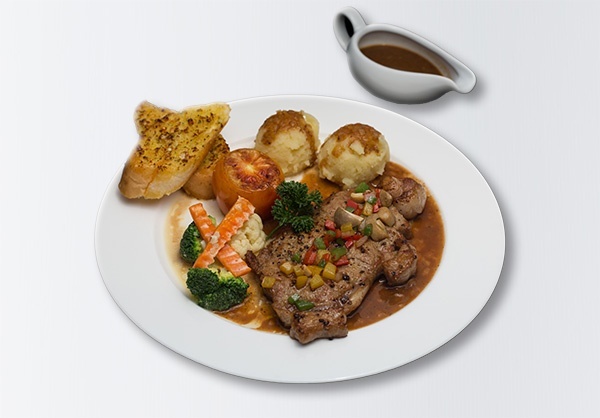 Our Chef’s fresh cut Sirloin Steak cooked to Just the way you like it. 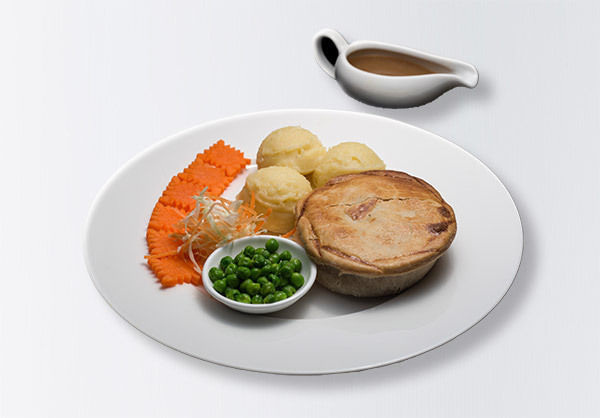 Served with a choice of chips or fresh Mashed Potato, Garden Peas & Gravy. One of our favorites! The classic Chicken Club Sandwich is served with Chips and Mayonnaise. 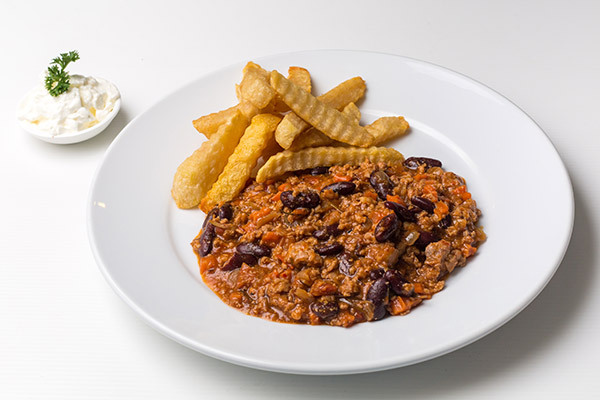 Made in-house with fresh ingredients served daily with home-made chips or steamed rice. 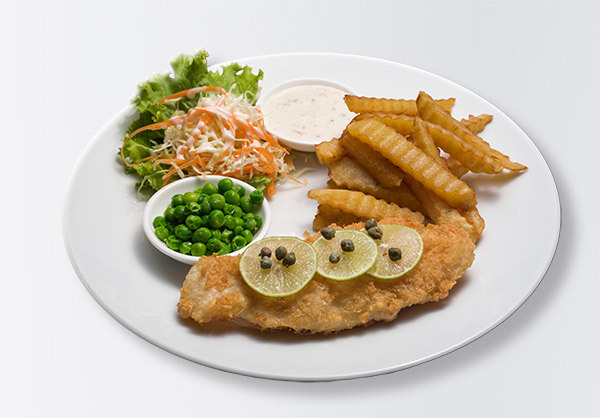 A tender Fillet of Fish in a light Beer Batter, served with chips and Tartar Sauce. 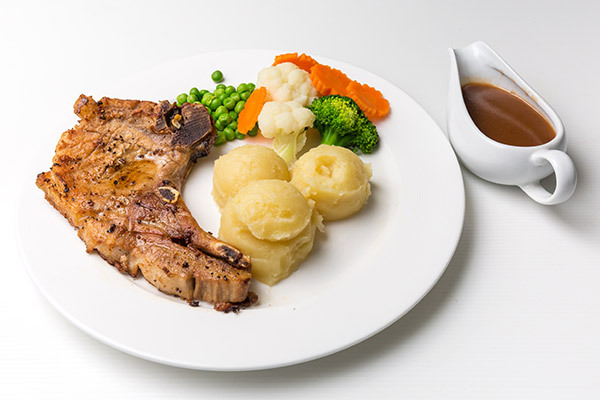 Succulent fresh Pork Chop served with Chips or Mashed Potato and Onion Gravy. 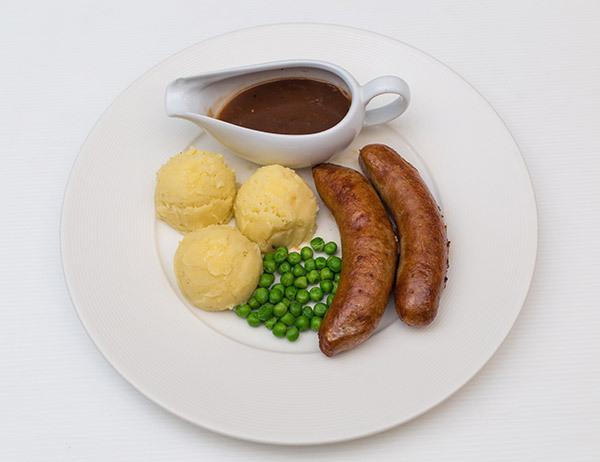 Cumberland Sausages served with fresh Mashed Potatoes and Garden Peas. A large portion of home-made Cottage Pie, served with Chips, or Mashed Potatoes Peas and Onion Gravy. 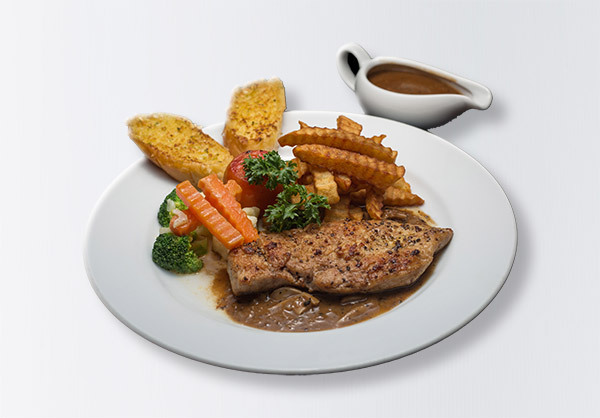 A succulent Chicken Breast in a creamy Mushroom Sauce, served with Vegetables and your choice of Chips or Mashed Potatoes. An old favorite! 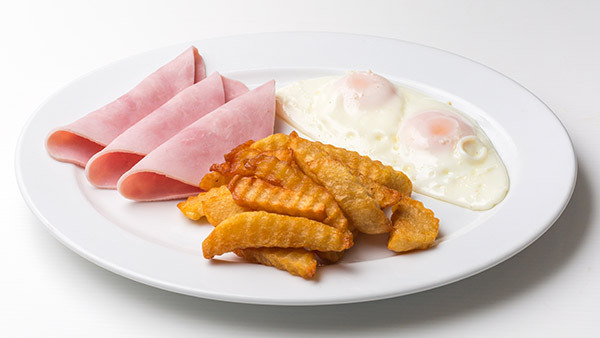 Fresh Ham with home-made Chips, served with 2 Fries Eggs. 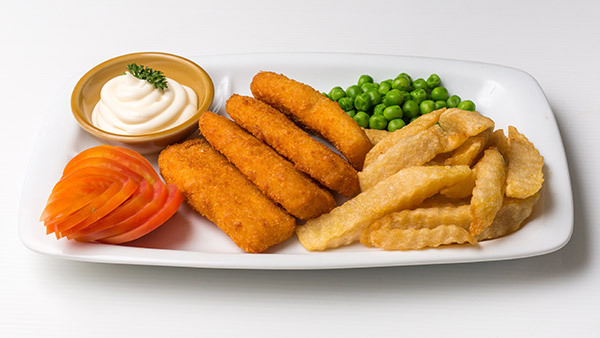 Captain Birdseye Fish Fingers served with home-made Chips and Garden Peas. 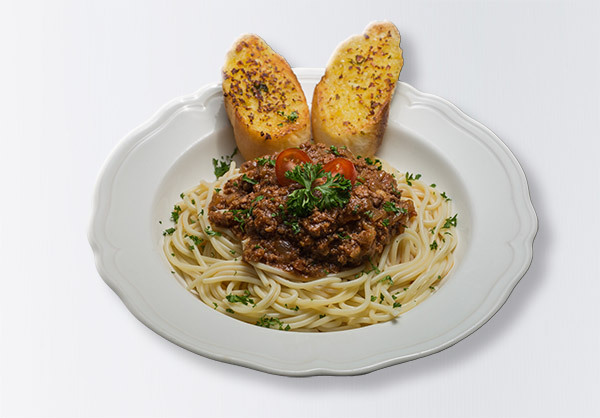 Our own traditional Italian Bolognese Sauce Recipe, served on al-dente Pasta and Garlic Bread. This Italian favorite is one of our Chef’s specialties. 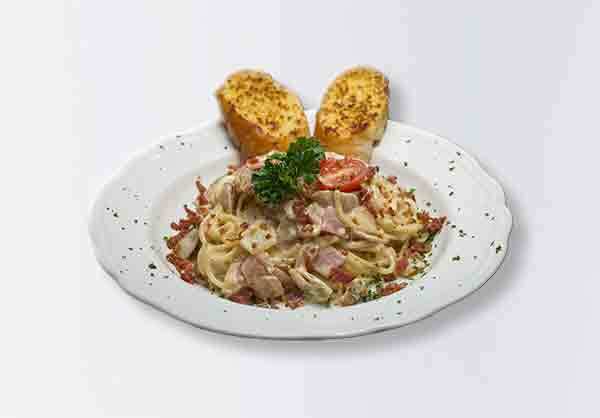 Al-dente Pasta in a cream sauce, ham and topped with roasted bacon pieces ……delicious!! 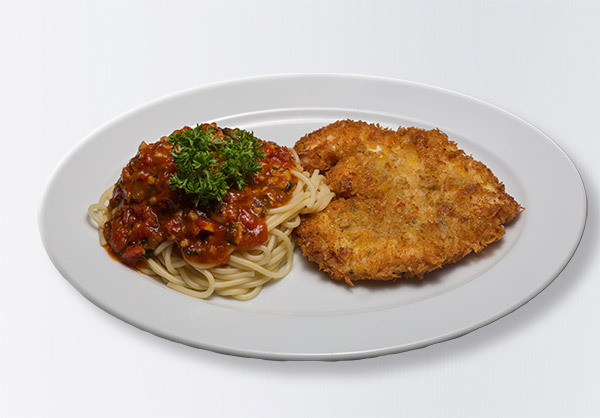 A great combination of a succulent Chicken Breast in a Bread Crumb Batter teamed with Spaghetti Napoli… delicious!!. 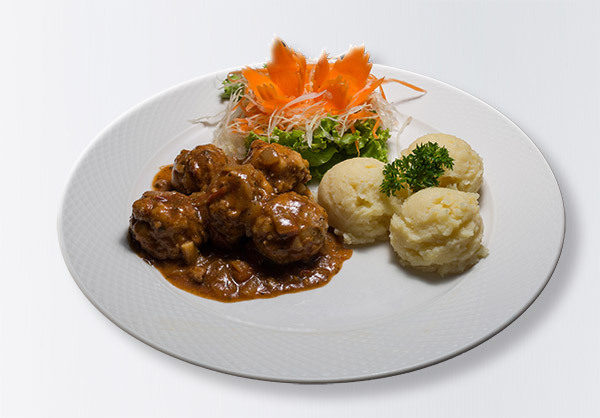 Home-made Beef or Chicken meatballs with our secret ingredients will always leave you wanting to come back for more. Served with home-made Chips or Mashed Potatoes and Garden Peas. 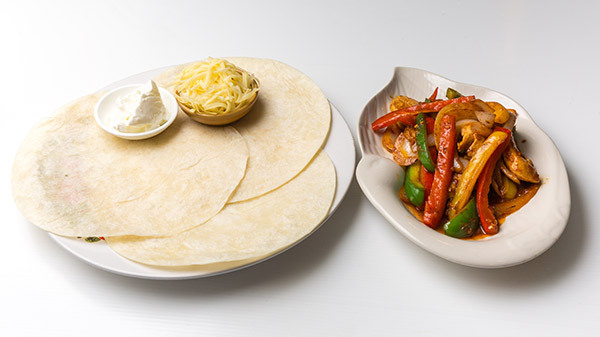 Mexican style Fajitas, served with Fresh Wraps and the best ingredients. An absolute must try!!. A choice of Steak, Steak & Kidney, Chicken & Mushroom, Steak & Onion, Minced Beef & Onion and Chicken Curry. 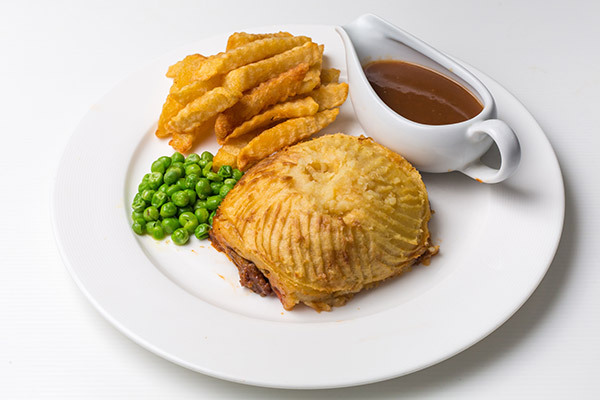 Served with Chips or Mashed Potatoes and Onion Gravy …..add 40 baht for Mushy Peas. 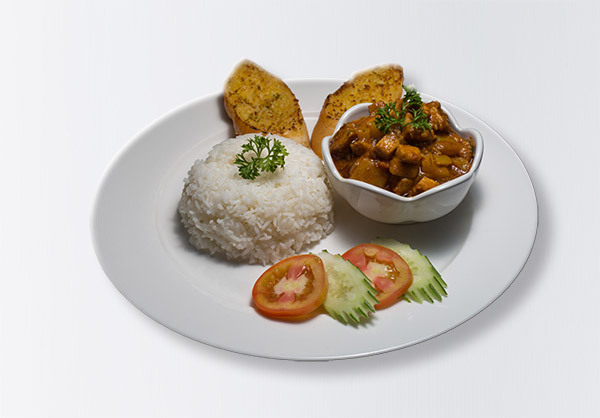 Home cooked Chicken Curry with succulent Chicken Breast Chunks, served with Chips or Steamed Rice.